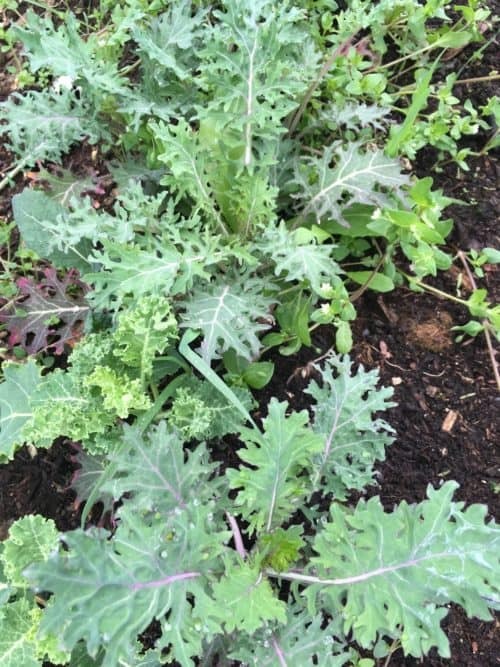 Did you know that you could be harvesting handfuls of greens by the time you’re sowing spring seeds? 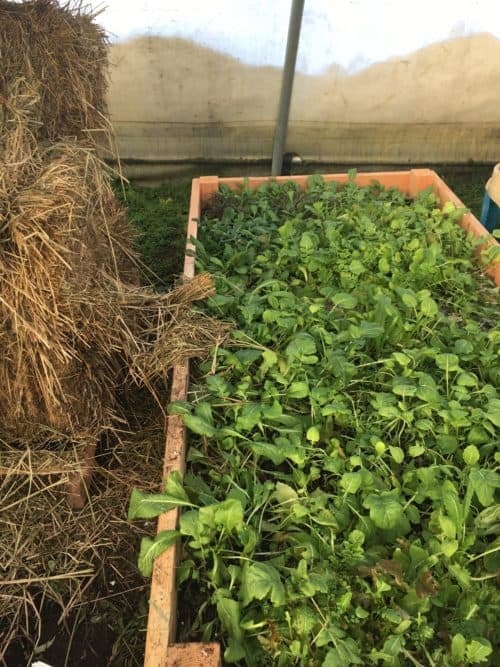 In fact, overwintered greens tend to be ready to harvest a couple of weeks before you sow your spring plants. The results are fresh harvests months sooner. Not only is this amazing, but you also don’t need heated season extenders. 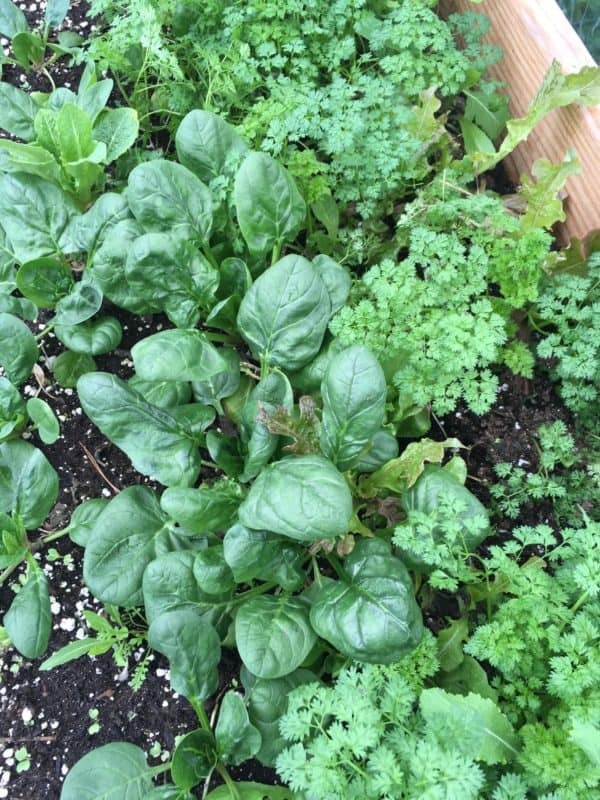 I overwinter greens every fall for healthy spring greens to increase fresh seasonal eating. I’ve been overwintering greens unprotected under the snow, and in unheated season extenders for many years. 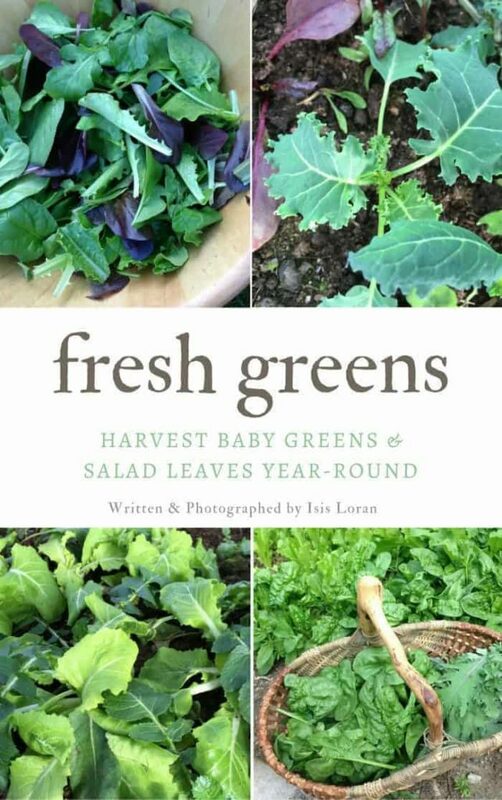 I’ve been trying different varieties of greens for a few years, as well as sowing dates. 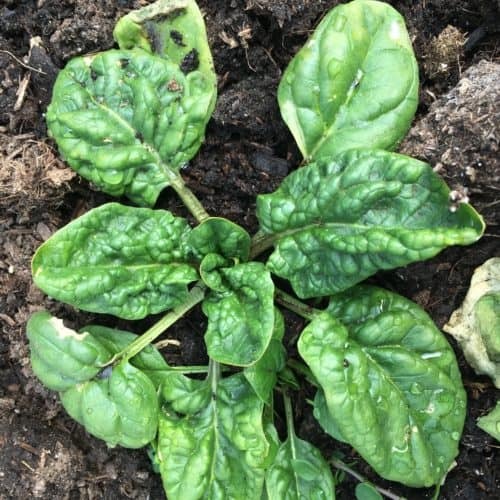 I garden year-round in a zone 5 Canadian mountain climate. In this post I’ll share the dates that work the best for our region. Yours will likely be different than mine depending on your growing zone, micro climate and the winter that year. One of the most important things you can do is select cold hardy varieties of greens, and also succession plant. 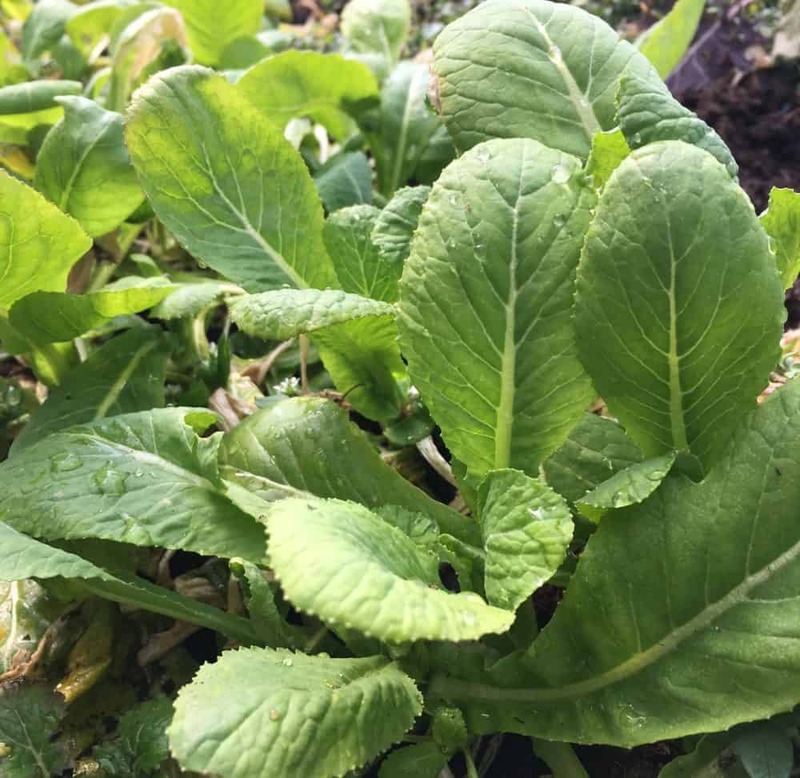 If you spread out your sowing dates, some of your greens will be that perfect small size before winter sets in to produce in the spring. If the greens are too old, they bolt faster once the weather warms up. This will also happen if you get warm spells during winter that year. We’ve had cold winters with lots of snow down to -20C/-4F and as ‘warm’ as -10C/14F. If you have a warmer climate you can grow a fall and winter garden. 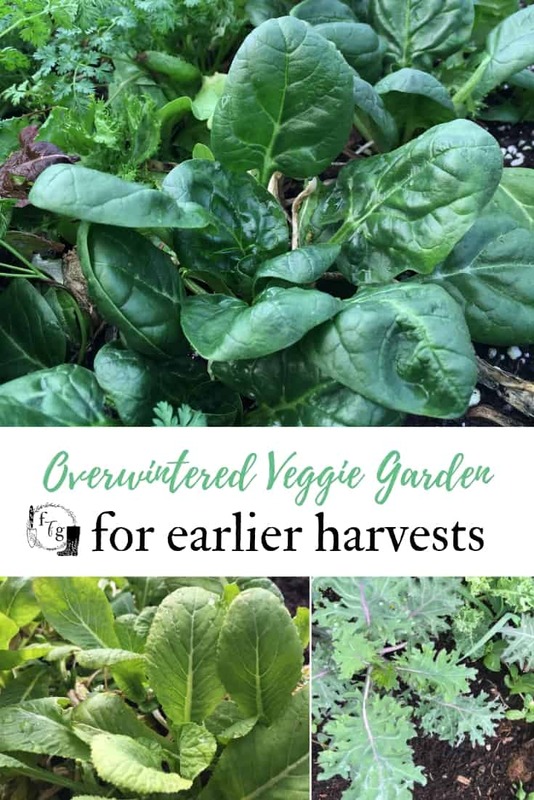 You won’t be ‘overwintering’ but you’ll still be enjoying extended harvests during the fall and winter months. I used to overwinter unprotected under the snow. Nowadays I use an unheated greenhouse. 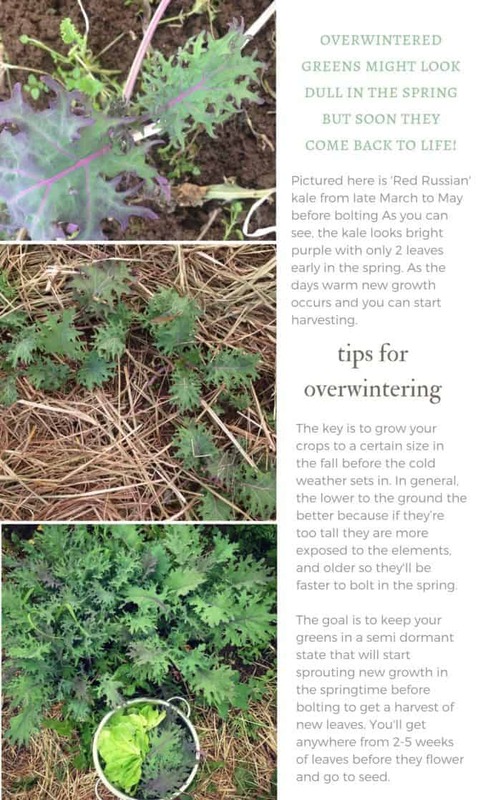 The best greens for the overwintered garden can handle frosts and snow. Winter is stressful, so is heat if you get mid-winter warm spells which are common here in our zone 5. That heat can make many plants bolt before they produce enough harvests. 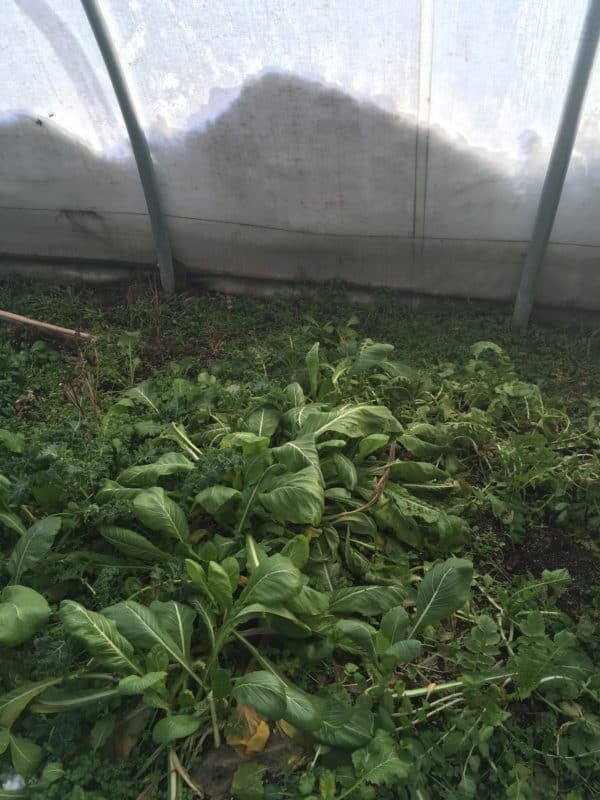 These greens WILL bolt but you will get 3-6 weeks of fresh spring growth before that happens. 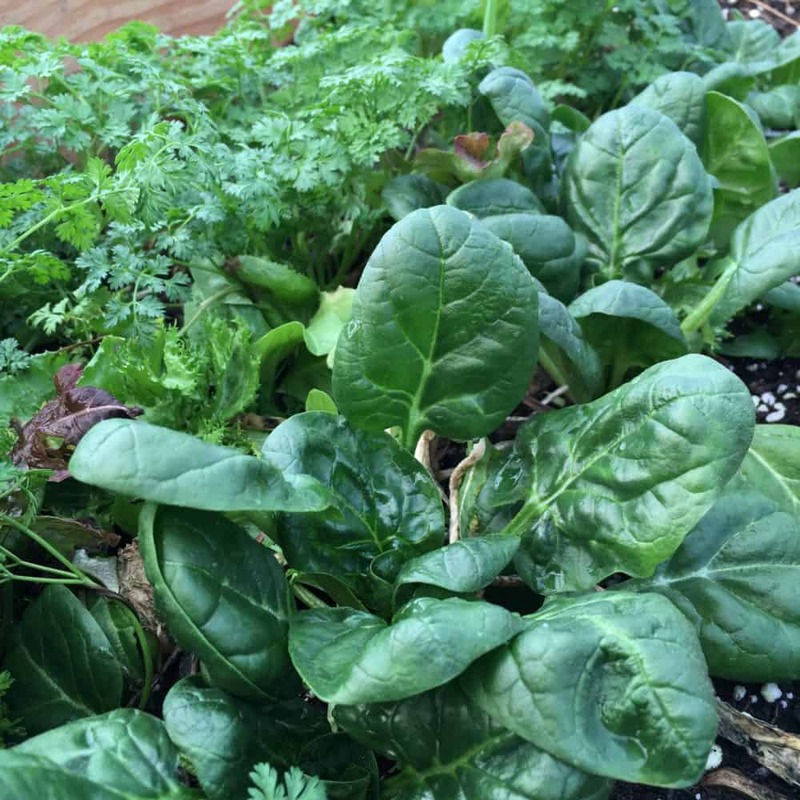 Grow a large bed of these greens and voila! Fresh early spring harvests. You need to get the timing right however (more on that below!). In general, I’ve found that these mustard greens handle the cold excellently. As soon as it thaws and stays thaws however, they tend to bolt right away with the heat. We tend to harvest the mustards before March. I also find the mustards handle 10C/14F no problem, but the deeper cold of -20C/-4F they don’t. Timing your plants and sowing dates will take practice. There’s a ‘sweet spot’ of plant size where they overwinter the best, usually with only 3 true leaves. The problem is, your fall could be glorious and the plants keep growing. The daylight shortens in the fall reducing growth so your plants will take longer to grow. 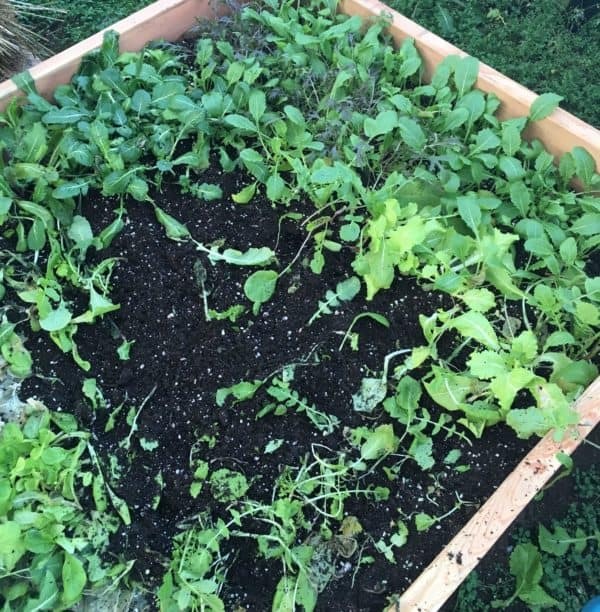 I sow my greens every 1-2 weeks from mid-August to mid-October. This allows some plants to be harvested during the fall and winter months up to deep freeze, and the smaller plants will overwinter. Again, this will take practice for your region. Your winter will also make a big difference. We’ve had winters that weren’t that cold and even got quite warm (well above 0C) during January and February, only to dip down again and get cold. By sowing multiple times, you’ve got a better chance of success! You also want to make sure the bed was already amended with good soil earlier in the season. Fertilizers don’t work with cold soil. I don’t water through the winter months. Often the last time I water is sometime in November or before it hovers to 0. The greens will freeze and rebound frequently all winter long. It’s not until I know the ground won’t keep freezing that I start to water the greens again. For our region, that’s about mid to late March. Venting your unheated season extenders is important, if your greens get too hot, they will bolt quickly. I vent any temps above 3C/37F or 5C/41F outside as it tends to be warmer inside the greenhouse. Once spring comes and the weather warms greens will try to bolt. Again, certain varieties have been adapted to deal with cold stress better than others. Heat stress however, will always signal a plant to go to seed. Eventually your plants will bolt but you will enjoy many great harvests before then! Too large for overwintering but we enjoyed it all winter. Some spring growth, but trying to bolt early April. 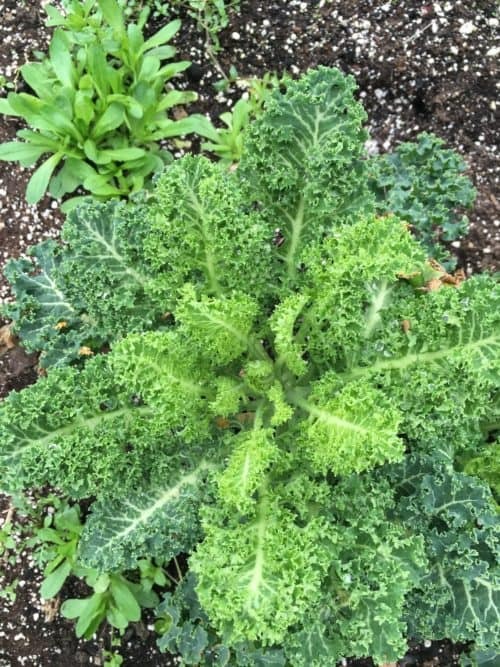 Want to grow greens year-round?